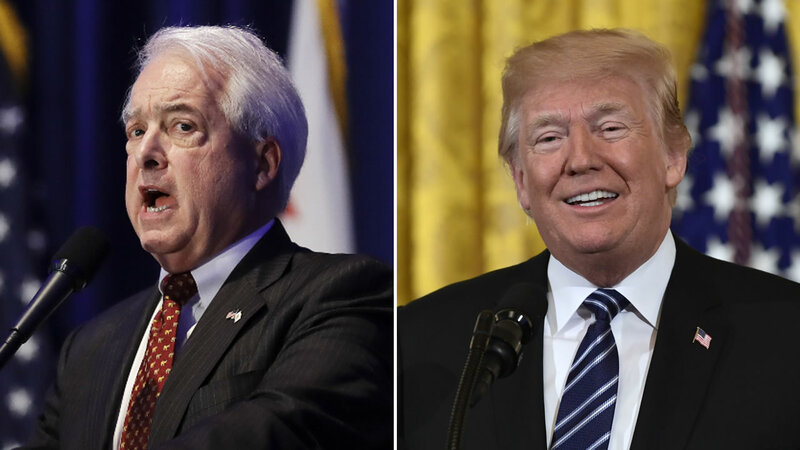 WASHINGTON -- President Donald Trump is wading into the heated California GOP gubernatorial primary, endorsing businessman John Cox in hopes of maximizing Republican chances of securing a spot on the ballot this November. In a Friday tweet Trump says, "John Cox is the man - he'll be the best Governor you've ever had." Cox is facing off against Republican Assemblyman Travis Allen and several Democratic candidates in the primary. Lt. Gov. Gavin Newsom, a Democrat, is the odds-on favorite to win June 5, but Republicans hope that the remaining Democrats will split the vote enough to allow one of the GOP candidates onto the ballot in November. Click here for more stories about the upcoming 2018 election.